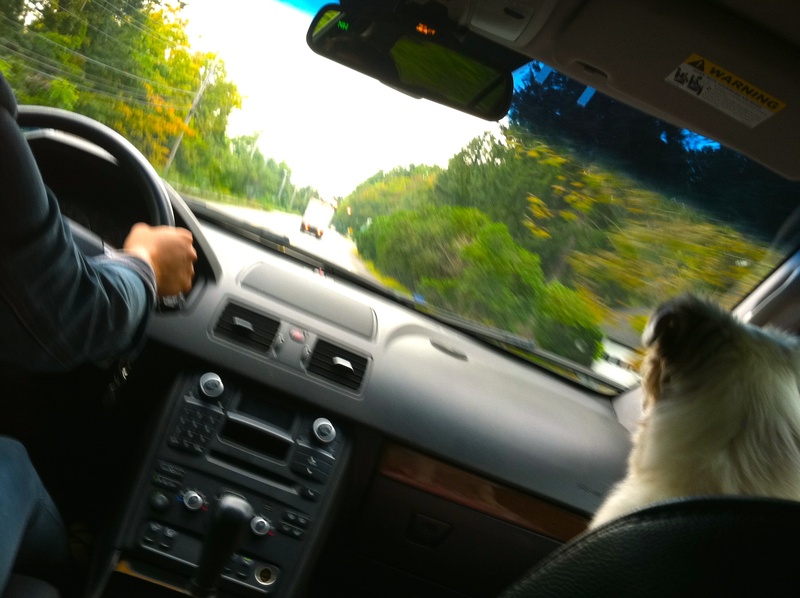 After a bumpy start, Cookie now loves riding in the car with us. 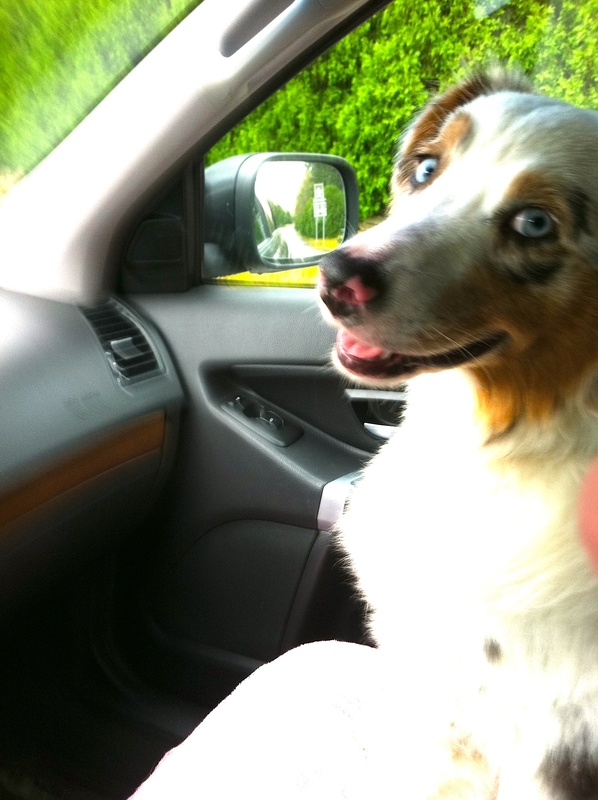 Follow the Big Adventures of a Little Aussie! Just click the “follow” button on your right! 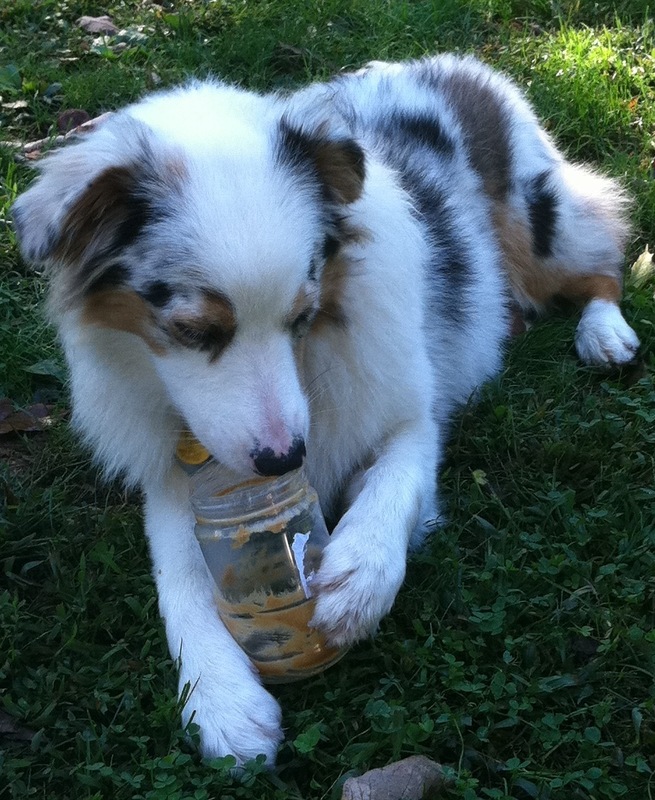 An almost-empty jar of peanut butter makes a great toy and treat for me! When my family has scraped out all that they can from the peanut butter jar, and there’s just not enough for one more sandwich, they do something wonderful – they remove the label and lid and give me the jar. This happens outside in the yard, so my paws don’t spread the peanut butter in the house. First I blissfully extract as much peanut butter from the jar as I possibly can. And then I have fun carrying, nosing and batting around the jar until it ends up in the recycling bin. I love all kinds of dog treats, but peanut butter may be my favorite. Your dog probably is a nut for peanut butter too, so, the next time you’re at the end of a jar, (and provided it’s a plastic one) offer it to your dog! They’ll be glad you did. And remember, watch over their fun and remove the jar when it shows signs of chewing and wear. were stars of both the big and little screens. Today, we can see them on YouTube! Cookie & Bear-Bear are ready to watch “Stubs”! Jay Sisler was a rodeo star, animal trainer, and owner of two Aussie celebrity dogs, Stub and Shorty, as well as the popular Queen, and several others. His popular dogs starred in The Disney movie “Stub: The Best Cowdog in the West” (1973) and appeared in “Cow Dog” (1956) and Run, Appaloosa, Run (1967). If you visit YouTube and search for “Jay Sisler” several reels of vintage Aussie home movies will list, including “Jay Sisler Home Movies Part 1 & Part 2” and “Jay Sisler and his Aussies.” Take five minutes to take a look – they are priceless! You will be amazed as you watch these performing pooches jump rope (one turns the handle too! ), walk upright, twirl, dance, stand on their heads, walk on their front legs, balance and stand on a bar, leapfrog over one another, ride a see-saw, jump through hoops, and of course, herd a myriad of animals. Cookie has put “Stub” in our family’s Netflix cue, and looks forward to watching and giving you her review! 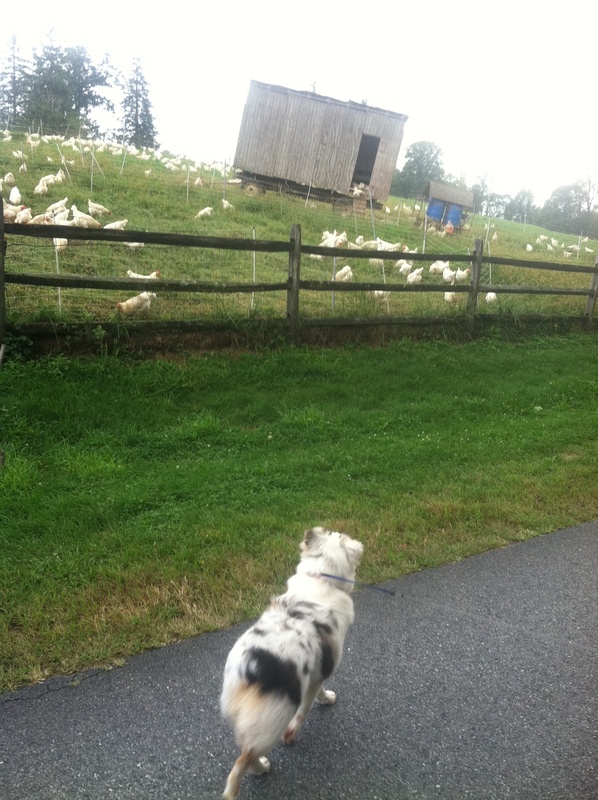 For a walk you and your dog will never forget, visit the Stone Barns Center in Pocantico Hills, NY. The Stone Barns Center is a non-profit farm and education center, with a mission of increasing awareness of healthy, seasonal, and sustainable food, educating children about sources of healthy food, and training farmers. There are acres of fields where vegetables and flowers grow and pastures full of animals including chickens, ducks, geese, pigs, piglets, cows, calfs, and burrows. Beehives buzz with activity, the Terrace Garden is still full of lovely flowers as of today’s date, and the Greenhouse is producing all sorts of yummy veggies too. In the middle of all these activities, in a lovely stone chateau & barn, are the Farm Store, the Blue Hill Cafe, and The Farm Market, open on weekends. The well known restaurant, Blue Hill at Stone Barns, is on site as well. Throughout the year the Stone Barns Center offers amazing opportunities to learn about egg collecting, gardening, cooking and farming. There are tours of the facility and children’s programs every weekend, and Farm Camp is offered throughout the year. But best of all from Cookie’s point of view, dogs are welcome to come and visit and walk through the center’s rolling hills and idyllic paths. Breathing in the freshest of air, and enjoying the sights, sounds and smells of the livestock and crops – what could be better for a dog? And also for you? With the Autumn leaves coming in, it’s a wonderful time to come visit and spend the afternoon. The Stone Barns Center is open Wednesdays thru Sundays. For more information, visit http://www.stonebarnscenter.org. 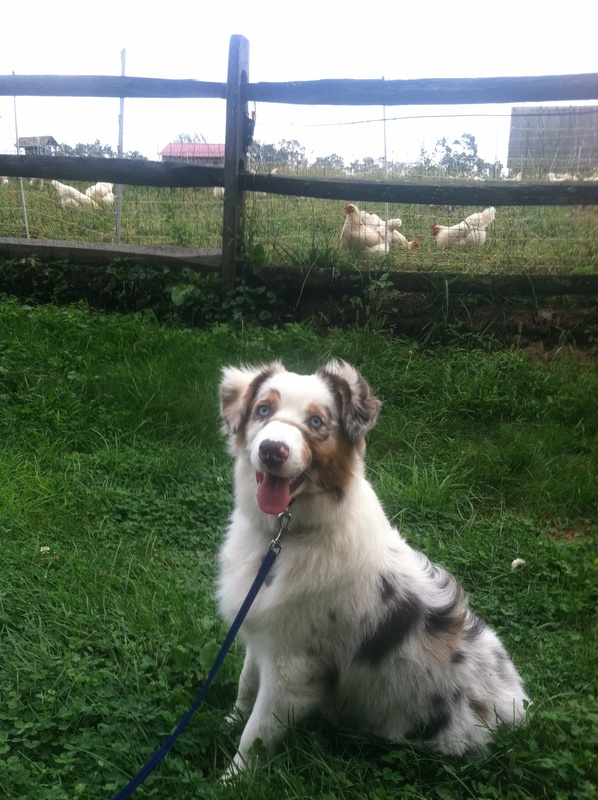 Cookie plans to be a frequent visitor this Fall..hope to see you and your dog there too! 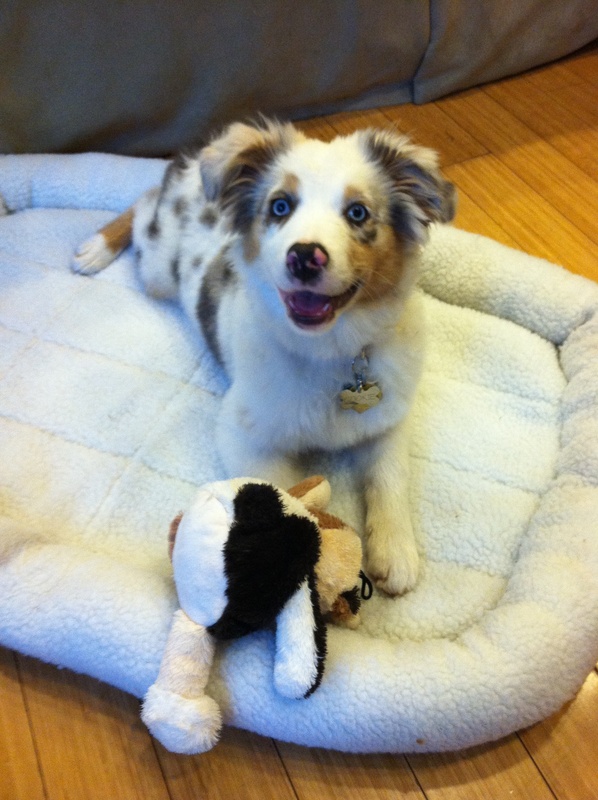 Don’t forget to vote for me on the PetSmart Monster Cute Contest! 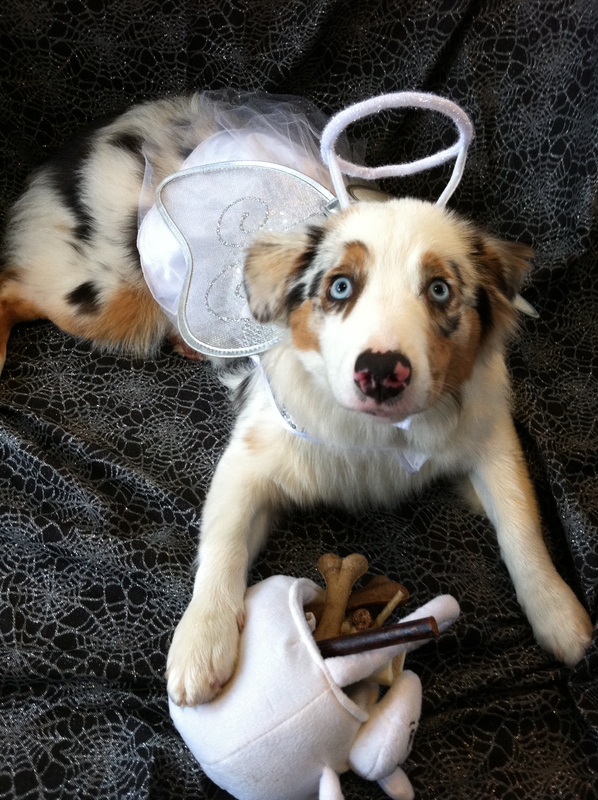 Entry name: Cookie Entry title: Angel Eyes Thanks! My people love to read them and I love to chew them! 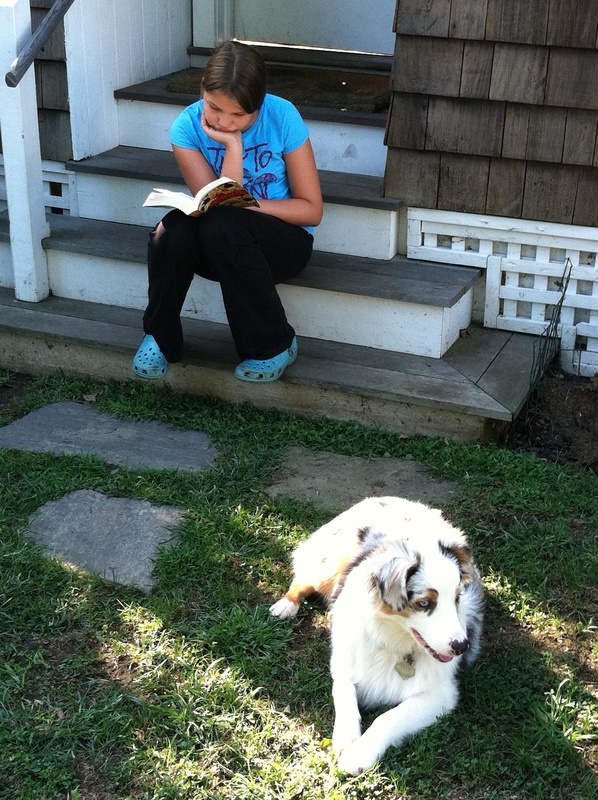 Even though I can’t read, I’d like to tell you about some great books featuring dogs that my family is currently enjoying reading. My Mama Diana is currently reading the Canine Classic “Man Meets Dog” first published in 1954 by Konrad Z. Lorenz – described on the cover as “A loving study of the canine personality, with a digression on the feline, by a world authority of animal behavior.” This book was a gift to my family upon my arrival by Mama’s longtime and dear friend Catharine, for which we thank her. At the time of publication Dr. Lorenz was, per the book jacket, the “world authority” on the study of animal behavior. In the book Dr. Lorenz tells the story of how dogs came to live with men; about living and training his own dogs; and not to be neglected, cats and cat behavior. It is full of very charming illustrations by both Miss Annie Eisenmenger and the Author. Lorenz also wrote “King Solomon’s Ring” – another book about dogs and cats. Mama is finding “Man Meets Dog” thoroughly charming – and hopes other dog (and cat) lovers like you will rediscover the book too. You can also search by pet name (Cookie), Category (Cutest), and entry title (Angel Eyes). ….I just look like one! Cookie wearing her Gentle Leader harness at the park.